As a Reseller Partner, we’ve got your back, totally supporting your efforts to sell Axonify into both your current customer base and new prospects. As an Axonify Reseller, you feel that microlearning would be a fundamental part of your growth plan and the future of corporate learning. To reap the rewards, you are willing to make the investment required to effectively market, sell and support Axonify implementations. Interested in becoming an Axonify Reseller? 30+ years of expertise in Asia Pacific helping customers transform learning, grow leadership and build learning culture that impacts performance. Sistemas CBT helps organizations develop workplace performance strategies through consulting, implementation and support services. 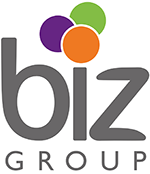 Biz Group focuses on changing learning throughout the workplace by delivering direct and measurable impact to clients. A leadership development consultancy with 15+ years experience optimizing maximizing peoples’ networks through digital learning.